This field trip will visit the following major diamond mines of Botswana: Orapa, Letlhakane, Damtshaa, Karowe, and Jwaneng, all of which are open pit operations. The latter two mines, Jwaneng and Karowe, have not been visited by previous International Kimberlite Conferences. All these mines combined make Botswana the number one producer of rough diamonds by value in the world. 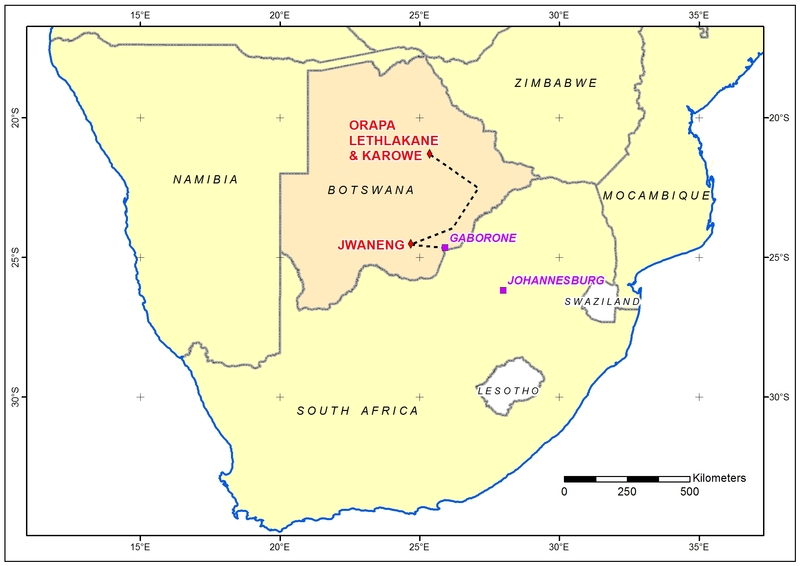 The Orapa kimberlite is the first economic kimberlite to be discovered in Botswana. Transport will be in luxury buses. Assuming the field trip is full, a number delegates will be required to share rooms for two nights of this trip due to accommodation constraints. This field trip is being organized by Martin Roberts and Todd McKinlay of Debswana and run by Debswana and Lucara Diamond Corporation mine geologists. Pre- and post-conference field trips will be limited to 80 delegates each (total 160 delegates). For a detailed field trip itinerary click here. 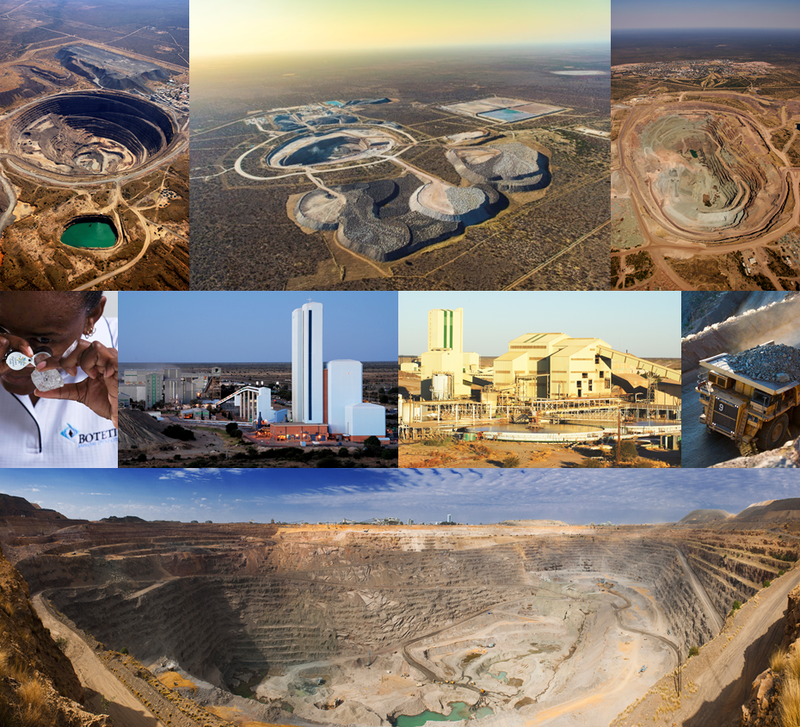 Photo credits left to right: Letlhakane Mine open pit, Mike Brook, Debswana; aerial view of the Karowe Mine, Lucara Diamond Corporation; Orapa Mine with Orapa town in the background, Mike Brook, Debswana; large diamond from Karowe Mine, Lucara Diamond Corporation; Jwaneng Mine Aquarium, Debswana; Orapa Mine plant, Debswana; Jwaneng Mine open pit, Mike Brook, Debswana.